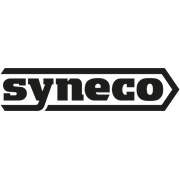 Lightweight and portable, ensuring your bike is never compromised is easy with Syneco's Combination Bicycle Lock. A tough PVC coating prevents scratches and marks, making this lock ideal for repetitive use, while providing durability. Deter thieves at any time using the 5 digit combination bicycle lock.